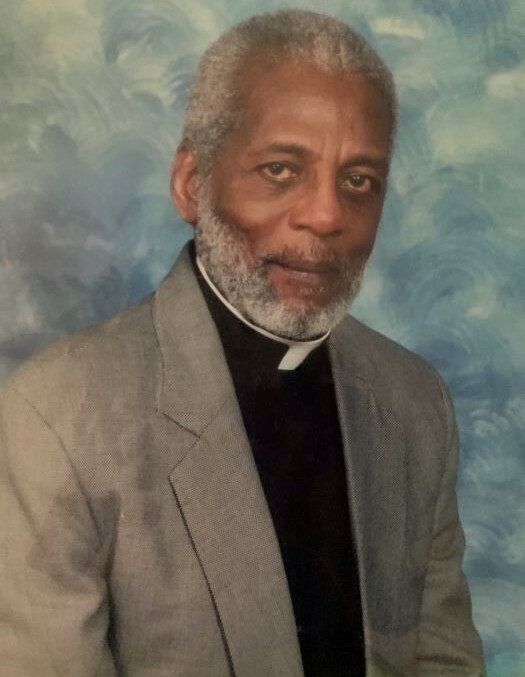 Obituary for Bishop Oswald L. Williams | Frank R. Bell Funeral Home, Inc.
Bishop Oswald Louis Williams was born on February 24, 1928 to (the late) Doris Shillingford and Aaron Williams. After graduating from Nelson Street Boys Roman Catholic School in Trinidad, West Indies, he worked at the Port of Spain Port Authority. In 1970, he migrated to the United States of America where he pursued a career in food service, working at St. Luke’s-Roosevelt Hospital Center and Columbia Presbyterian Medical Center. He retired in November 1992. On July 7, 1974, Bishop Oswald Williams founded St. Jude Baptist Temple which was later renamed New Jerusalem Temple of Truth, and is currently named Plain Truth Temple of Praise. He was the Bishop there for forty-five years. On Saturday, April 6, 2019, Bishop Oswald Williams answered the call of his heavenly Father, and went home to be with the Lord. Though predeceased by a daughter, Lynda Grant; he leaves to cherish his memories, his loving daughters: Lydia Williams-Patterson and Lynn Williams-Martin; his granddaughters: Anika Grant, Khadija Martin and Micha Martin; his grandsons: Gershon Patterson, Tony Grant and Akil Grant; his great- granddaughters: Khloe, Kimani and Akila; his sons-in-law: Carlton Grant, Mervyn Patterson and Michael Martin; other relatives, and all of his church family. He fought a good fight and kept the faith. He will surely be missed.